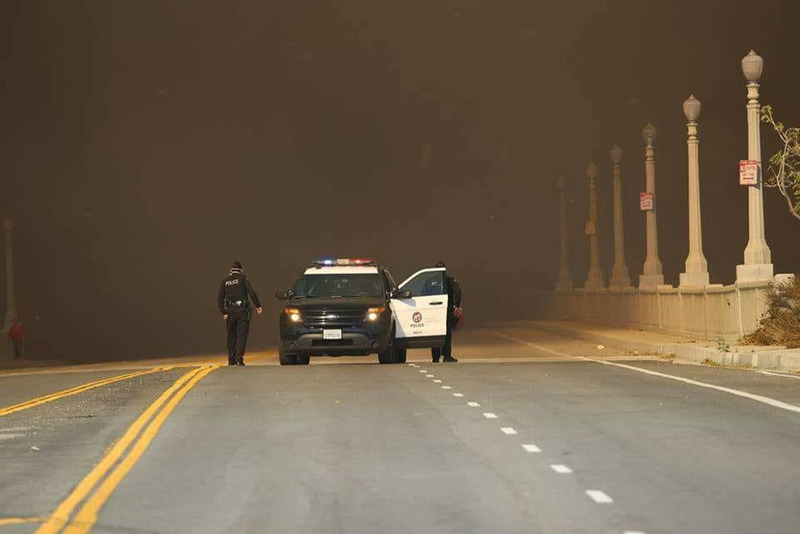 Officers of the Los Angeles Police Department have been responding to the area's rash of wildfires this week, serving a wide variety of missions. One of their missions has been to help animals trapped in the fire zones. Officers from the LAPD's equestrian unit helped rescue horses trapped in the massive Creek Fire in Sylmar. The Creek Fire started Tuesday morning and has destroyed at least 30 homes and burned nearly 11,500 acres. Within the city limits LAPD officers responded to the Skirbal Fire, which erupted early Wednesday morning next to the 405 freeway near Mulholland Drive. The Skirball fire has burned nearly 500 acres and destroyed four homes in Bel-Air.